The singer is said to be undergoing treatment in a mental health facility. 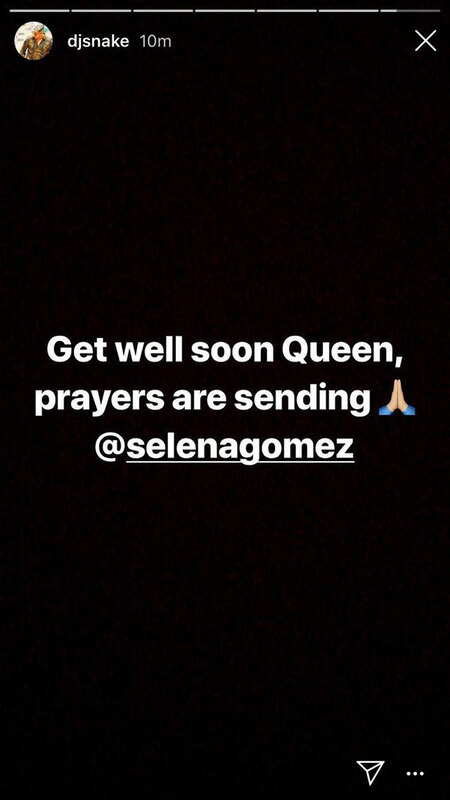 Selena Gomez's friends are offering support in wake of news that the singer is currently seeking treatment in a mental health facility after having what TMZ reports was an "emotional breakdown." TMZ broke the news that Selena Gomez had entered a mental health facility after being hospitalized twice in two weeks. Per the outlet's sources, the hospitalizations came after she was "despondent and emotional over an alarmingly low white blood cell count in the wake of her kidney transplant." TMZ claims Selena experienced an "emotional breakdown" when she was wasn't allowed to leave the hospital during her most recent stay, and report that she's now at a psychiatric facility on the East Coast receiving DBT (Dialectical Behavior Therapy), a treatment used for various mental health conditions.